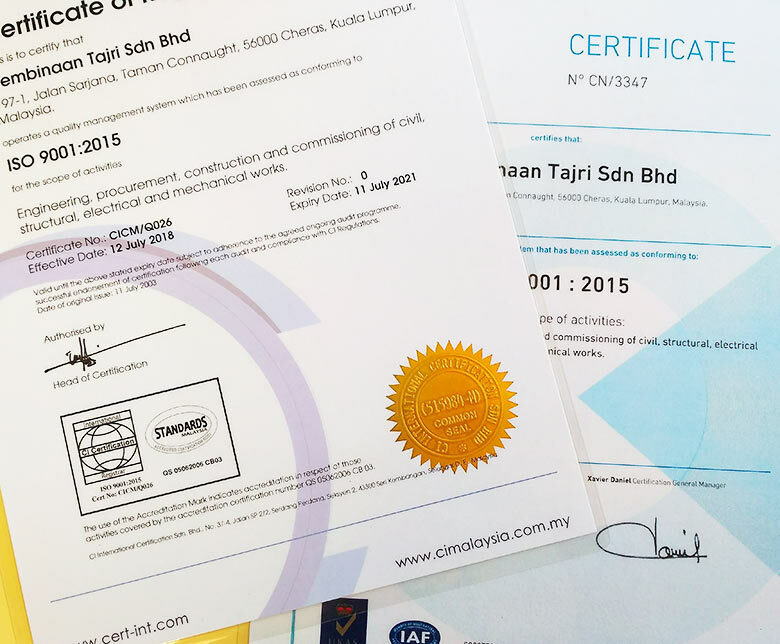 ISO Certification - Pembinaan Tajri Sdn. Bhd. Pembinaan Tajri is an ISO 9001:2015 certified company for the Engineering, Procurement, Construction and Commissioning of Civil, Structural, Electrical and Mechanical Works and as such is able to ensure that a high standard of performance is maintained in all its projects at all times. Pembinaan Tajri’s track records as examplified by its ability to complete and deliver on schedule projects undertaken, is the company’s testimony to its efficiency and excellence.